With two more days remaining for Eid celebration, the visiting activities had to be done so as to maximize the time. 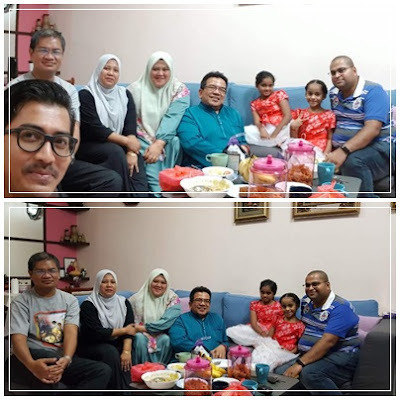 Right after school, I was invited by Puan Hamimah, an office staff of my former school SMK Taman Universiti. At was I was quite hesitant at first as there should be a meeting after school but then the plan was cancelled and I was jumping up and down. By 3.45 p.m., I already arrived at her place. Got to see more friends and colleagues at Puan Hamimah's house in Taman Mutiara Rini. It was kind of her to still remember to invite me there for Eid. 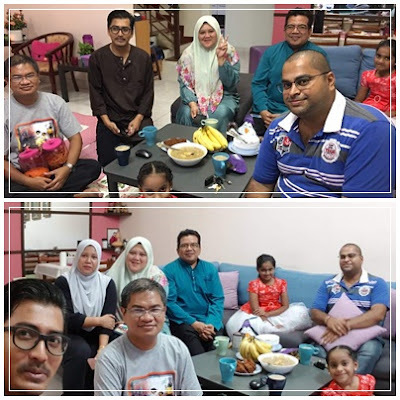 The next house visited at Taman Mutiara Rini was of Mr. Mohd. Khir and Puan Mazzelina Mahmood. I was there at 9.00 p.m. - the last one to arrive. 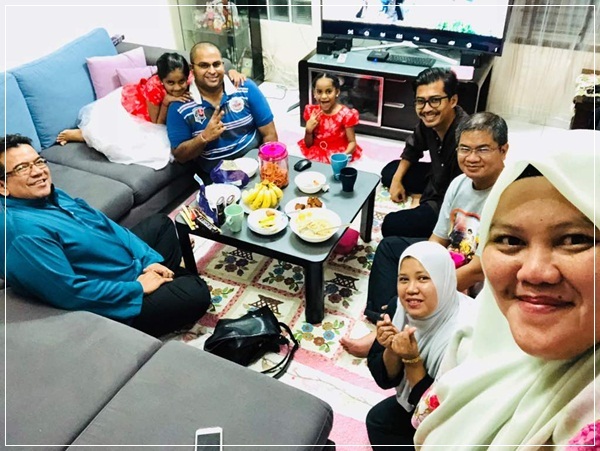 The same people who were at my house two days before were again gathered under one roof, but this was not the end yet. The visiting chain will be continued tomorrow - the very last official day of Eid.